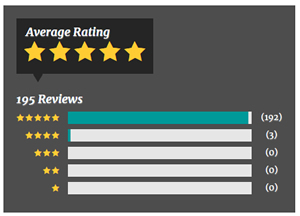 We are happy to report that we have a 5 star rating from rate-a-dentist.com (rate a biz). Want to rate Dr Alex? Please download and print the forms below. Please fill them out carefully as the information they provide is very important! Please bring them with you on your inital visit. *Take exit 49N (route 110) toward Huntington. *Stay on route 110 a little over 8 miles heading North. *You will cross over Jericho Turnpike (route 25) and pass through the town of Huntington. *Go to the end of route 110 (Firehouse and water on your left) and make a right up YOUNGS HILL ROAD. *Stay on Youngs Hill Road which will turn into COVE ROAD. *The office is at 90 COVE ROAD (yellow house on the right-office at end of driveway). *Take 25A through the town of Huntington. *You will go past the Huntington YMCA on your right and proceed through the next two traffic lights. At the third light make a LEFT onto HUNTINTON BAY ROAD. *Stay on Huntington Bay road about a mile and a half until you come to a four way stop sign. *Make a right onto COVE ROAD. *Take 25A west through the towns of Northport and Centerport. *While going through Centerport you will pass the MILL POND and THATCHED COTTAGE restaurants on your right. Proceed up the hill staying on 25A for approximately 2-3 miles and make a right hand turn on HUNTINGTON BAY ROAD.